The Tribe was born in 2013 when Nashville native Austin Max (Guitar/Vox) united with fellow music school Troubadours in Boston, MA. For a year they developed a psych sound playing around New England. Their Debut Single, “Tape Machine” was featured on Sound of Boston as one of the top 5 releases of 2015. 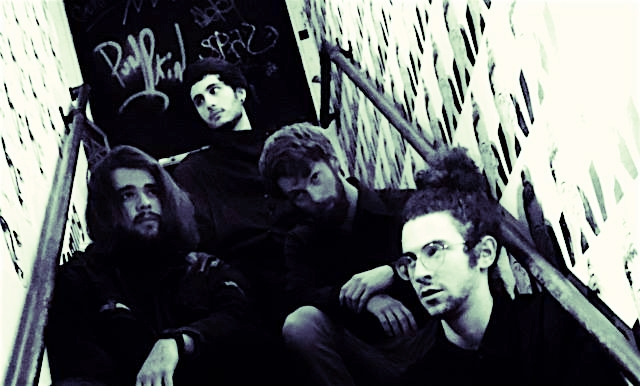 Over the course of 15 months, the Tribe wrote and Recorded their Debut LP, Retrofit, C0-Produced by Elliott Marchent, at 1867 studios due August 2017. In January of 17' they embarked on a Winter tour covering the North and Southeast. They released their LP the following summer and toured the east Side of the US thereafter. That Winter, Max moved out to Los Angeles and reformed the lineup adding PoRtland's Alex Csak on Keys, England's Elliott Marchent on Synth and Guitar, NOLA born Troy Bourgois on drums, and Austin, TX native Collin Fish on bass. Together, the Tribe creates a unique blend of psych rock with influences stemming from The White Stripes, The Beatles, The Doors, King Gizzard, and Cage The Elephant.